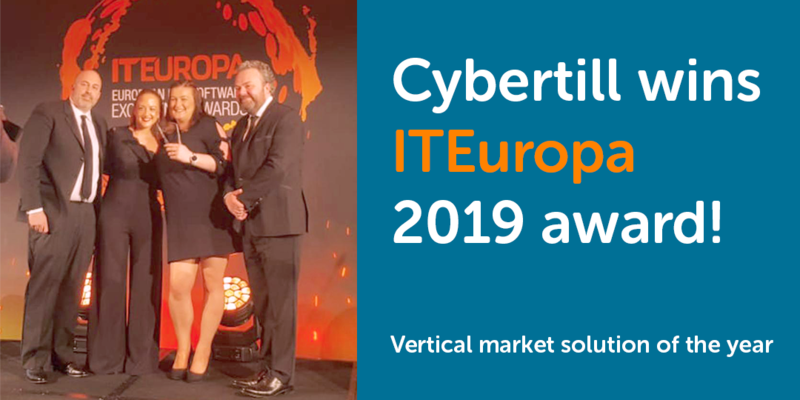 Well, we are beyond excited to update this post and announce that although we were up against some strong competitors at the IT Europa Awards, we won Vertical Market Solution of the year! Judges were looking for businesses that showed skill in delivering business applications, understanding of the customer requirements and the ability to deliver software to specification and time scale while meeting or exceeding customer targets. 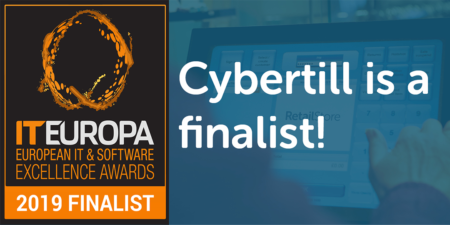 We are thrilled to announce that Cybertill has been shortlisted for Vertical Market Solution of the year for the European IT & Software Excellence Awards 2019! Now in its 11th year, the European IT & Software Excellence Awards have been designed to recognise and reward excellence in European software development and IT and Telecoms solutions. The awards are Europe’s most prestigious IT Channel Awards, aiming to recognise the abilities of all those who have been shortlisted and their IT solutions for their customers. We have been shortlisted for our solution, which is a retail management solution for the charity market, taking high street best practice and making it available to charity retail. And we used CharityStore customers Barnardo’s as an example of just how well our solution works with our charity customers. Cybertill’s CharityStore platform is running in over a third of the UK’s charities, helping them to run their retail business efficiently and maximise profits. increases revenues for charities and raises the average transaction values by at least £0.20. Our Gift Aid feature, that we highlighted in our nomination, was developed in line with HMRC and is 100% accurate as it includes a single scan barcode, which eradicates mistakes and missed sales. As the process is automated, it records all transactions, securely within our on a single donor database. The Vertical Market solution of the year award is Cybertill’s sixth award nomination in a year, we were also nominated for the Retail Tech Awards, Big Chip Awards x2, Amazon Growing Business and the Knowsley Business awards, which we won. So, it’s safe to say we are very proud that our hard work is being noticed in the industry. The winners will be announced at the European IT & Software Excellence Awards Dinner held at the Royal Garden Hotel in London later this month, wish us luck! Rachel is a social media superstar who is responsible for growing Cybertill’s social media networks and marketing communications activities. She started her career as an intern at a national charity and within the space of a year has progressed rapidly into her current role with Cybertill. Rachel has a Masters Degree in Digital Marketing from Liverpool John Moores University. I think it’s fair to say she knows her stuff! Connect with Rachel on LinkedIn.